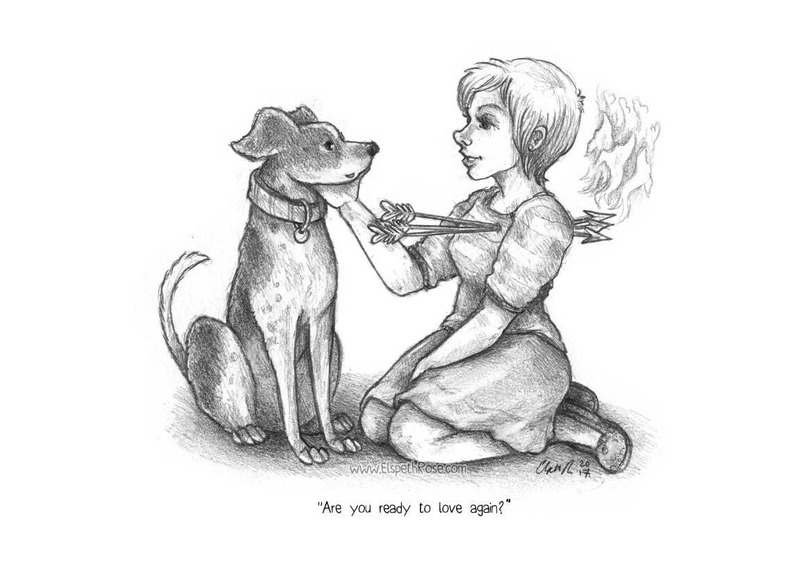 "Are you ready to love again?" His eyes asked, he was wagging his tail in a way that told me that he was open to the idea, but his question was gentle as he could see that my heart had been broken before. I knew that his had too, he was in a shelter for lost souls and needed someone to call his own. A forever own, not just a home. I smiled and nodded, he was just the right shape. The puzzle piece to fit that empty section of my heart, to help ease the break.